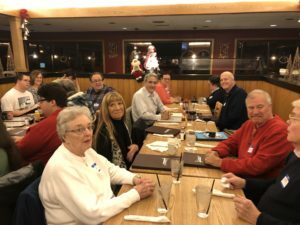 Dave Ress, Daily Press, interviewed founding families at our monthly dinner at Jimmy’s, December 13 – to find out more about Hope Family Village. Our ambitions. His piece appeared on Christmas Eve. Our families were overjoyed to see the coverage. Neighboring NAMI Affiliates have been contacting us with the same excitement. Our colleagues at the Coalition for Community Living, where Hope Family Village is a member, really liked the presentation.